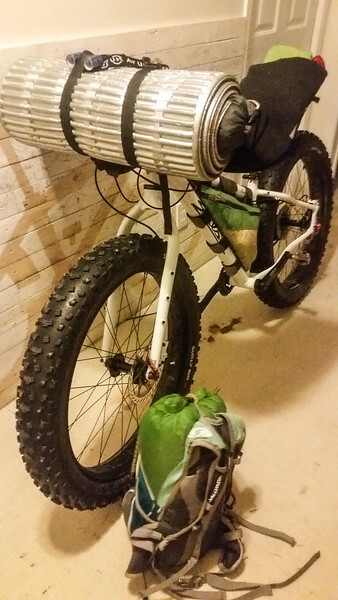 S24O stands for sub 24-hour overnight bike camping trip, for those of you out there who aren’t into all the cool acronyms the kids use these days. 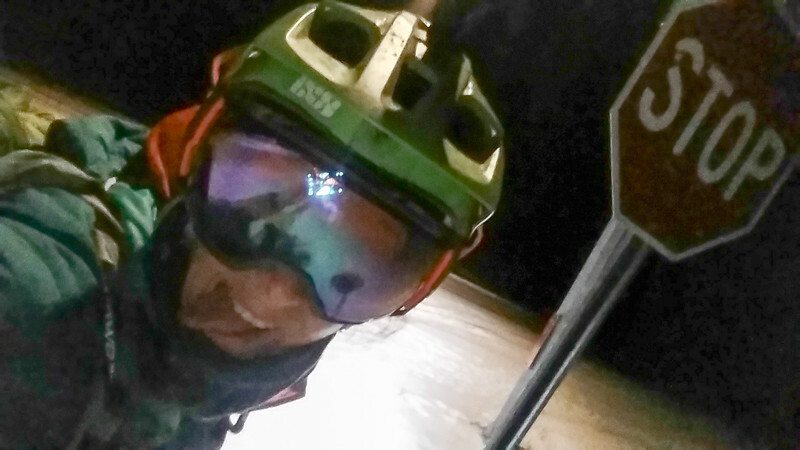 After getting the Moosling to bed on Saturday night, I loaded up my bike, and headed out for a solo overnight adventure in the snow – just for fun! Packing took a while – I’d never packed for an overnight snow camping bike trip before, so it took a little organising to get everything onto the bike. It did fairly simplify things to not really need any food or water (I did bring a thermos of tea though). 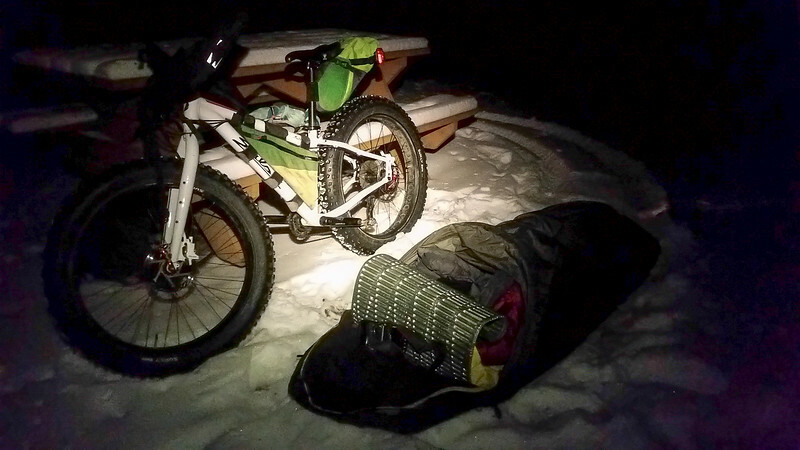 I took a fairly direct route, but it was still about 45 minutes of biking to get to my campsite, and then 15 minutes or so to get myself sorted and set up in my bivy in the snow. But then I was glorious and snug in my warm bivy, and fell asleep to the sound of crackling ice and the distant noise of the highway. In the morning I was rudely awoken by my alarm at 7.40, with the beginnings of dawn light beginning to show in the sky, but otherwise no difference to falling asleep nine hours earlier. 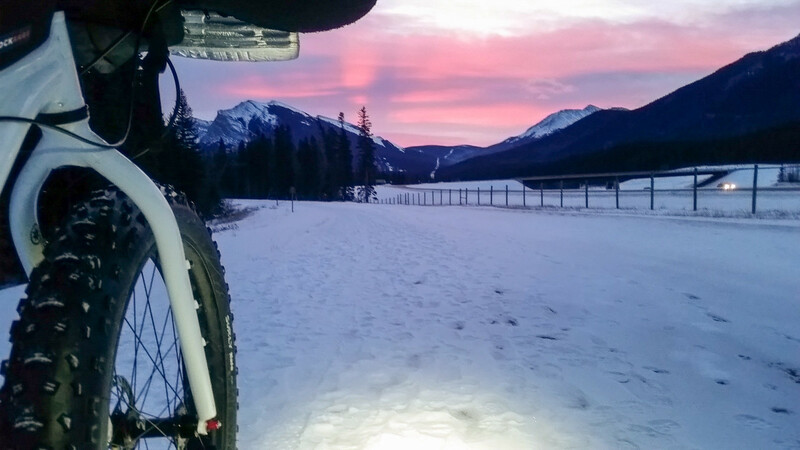 Twenty minutes to pack up, then I was on the road, and cycling away from a beautiful sunrise. Successfully back home at 8.50am to be ready to head out skiing for the day at 9am. Brilliant! Must do this again.